Keep paint looking its best with McKee's 37! The McKee's 37 Power Wash Bucket Kit Makes keeping your vehicle's paint clean, shiny, and swirl-free a whole lot easier! This complete wash system includes the essentials for swirl free washes: a McKee's 37 Wash Bucket with Grit Guard and lubricating McKee's 37 Power Wash formula. 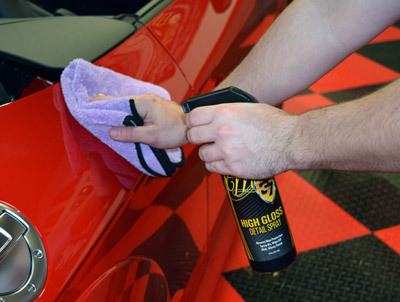 Add to that McKee's 37 High Gloss Detail Spray for a boost of gloss and protection whenever your car needs it, and you’ll have the shiniest paint on the block! The McKee's 37 Power Wash Bucket Kit takes the guesswork out of clean paint! A total retail value of $89.96, Save $44.97!